Cottage cheese is a type of fresh cheese made from curds. It differs a lot from regular cheese, and it has a mild taste with a lumpy, white appearance. 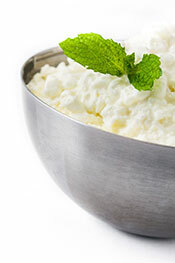 Due to its composition, cottage cheese provides some unique benefits, but also a greater chance of dairy sensitivities. This article will examine the nutrition facts, health benefits, and concerns about this traditional cheese. Cottage cheese has a long history, and its name—given to acknowledge the cottages producing it—dates back to the year 1831 (1). However, the history of cottage cheese goes far beyond this. It has been a common cheese product since 3000 BC in the days of ancient Mesopotamia (2). Notably, the cheese is fresh, and unlike regular cheese varieties such as Cheddar, it does not go through an aging process. The result is that cottage cheese has a much milder flavor and it is naturally higher in lactose. Although cottage cheese is available in the United States, it enjoys the most popularity in Western Europe. What Is Cottage Cheese Made more significant? However, it is worth checking the label because some brands use additional (and unnecessary) additives. It is also possible to make a quick and easy homemade version. See this homemade cottage cheese recipe for more details. The taste of cottage cheese is hard to describe, and it is not comparable to any other cheese. In short; it is slightly sour, acidic, salty, and creamy, and it tastes closer to sour cream than regular hard cheese. Since cottage cheese has a sour taste, some people like to add fruit to it for sweetness, and some brands sell pre-packed versions containing fruit. Cottage cheese is a curd product, so it has a lumpy texture. Also, the producers drain the liquid whey from the cheese during the manufacturing process, but they do not press it, and some of the whey remains. As a result, the lumpy curds appear to have a slightly runny consistency. Overall, the appearance of cottage cheese looks similar to rice pudding, which some people find off-putting. However, it is the taste that counts, and cottage cheese doesn’t disappoint in this category. Key Point: Cottage cheese is a sour-tasting dairy product made from fresh curds. Just as the appearance is very different from aged cheese, the nutrition profile of cottage cheese is also unique. Cottage cheese is available in ‘regular’ and ‘1% fat’ varieties, and the tables below show the full nutritional values for both (3, 4). As shown in the table, regular cottage cheese is predominantly a source of protein, with small to moderate levels of carbohydrate and fat. In contrast, the 1 % version offers slightly more protein and less fat. Cottage cheese is a good source of B vitamins, particularly B2 and B12. While these vitamin values do look a lot lower than regular cheese, it is worth remembering that cottage cheese only has about 25% of the calories. Cottage cheese is a good source of the minerals phosphorus, sodium, selenium, and calcium. Key Point: Cottage cheese is very low in calories, high in protein, and it is a good source of B vitamins and selenium. People see cottage cheese as a healthy dairy product, but what specific health benefits does it have? No food has magical fat-burning effects, but the nutritional properties of cottage cheese make it useful for weight loss. Firstly, compared to regular cheese, it is much lower in overall calories. As we can see, cottage cheese contains less than 25% the number of calories Cheddar does, and fewer than 33% of Mozzarella’s calories. Therefore, replacing an equivalent amount of hard cheese with cottage cheese is an excellent way to reduce overall energy intake. Additionally, most of the energy in cottage cheese comes from protein, which is the most satiating macronutrient (7). Foods (or meals) with higher protein density tend to reduce appetite, hunger cravings, and overall energy intake. Generally speaking, this should assist in weight loss (8). Regarding cottage cheese specifically, a recent randomized trial demonstrated that cottage cheese has “similar satiety power” to eggs, which are known as one of the most filling foods. Both of these food choices increased levels of satiety hormones in the blood (9, 10). Key Point: Cottage cheese is highly satiating, low in calories, and high in protein. It may help contribute to weight loss efforts. In addition to protein’s satiety-inducing effects, it also has a wide range of benefits in the body. Support muscle-building to increase lean muscle mass. Help to preserve lean muscle mass and optimal bone health in the elderly. Assist with maintaining muscle during weight loss on an energy-restricted diet. Increase the metabolic rate and improve body composition. Ensure the immune system is functioning optimally. Cottage cheese is incredibly protein-dense, and it provides around 12 grams of protein per 100 grams (which is also 12 grams per 100 calories). This protein density is on a similar level to red meats such as beef and lamb. See this recipe for cottage cheese pancakes for a healthy high-protein option. Key Point: Cottage cheese is an excellent source of protein, and it offers high amounts of the nutrient for minimal calories. Per 100-calorie serving, cottage cheese offers more than 10% of the daily value for several B vitamins, selenium, sodium, and phosphorus. 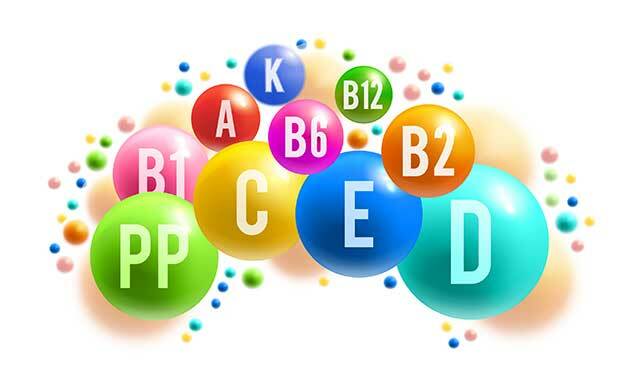 B vitamins are critical for converting food into energy, producing hormones, and regulating the immune system (11, 12). Selenium and phosphorus are both essential minerals that play crucial roles in the body. For instance, selenium has antioxidant properties, and it plays a part in boosting immunity and fighting inflammation (13). Phosphorus has an equally important role in our health, and this mineral assists with strengthening the skeletal system, DNA and repairing our cells (14). Although most of us are getting enough sodium, it is also an essential mineral that we require for good health. There is a fine balance with this electrolyte mineral, and both excessive and insufficient dietary sodium has been associated with adverse health issues (15, 16). Key Point: Cottage cheese provides a useful range of essential vitamins and minerals. One advantage of cottage cheese is that it contains a good synergistic combination of calcium, phosphorus, and protein. Each of these nutrients plays a vital part in the growth and repair of bone, and the cheese contains all three in a balanced ratio. On this note, a recent research paper examined the synergy between calcium, phosphorus, and protein for bone health. Specifically, the research mentioned how calcium and protein have a synergistic effect of increasing absorption of dietary phosphorus, which is associated with a reduced risk of osteoporosis (17). Nutrition can be very complex, and the synergy between various nutrients is one reason we should focus on whole foods rather than isolated nutrients. Key Point: Cottage cheese offers a decent ratio of calcium, phosphorus, and protein. All three of these nutrients work together to make strong, healthy bones. Providing you buy a traditional cottage cheese made the old-fashioned way, it should contain live bacterial cultures (otherwise known as probiotics). 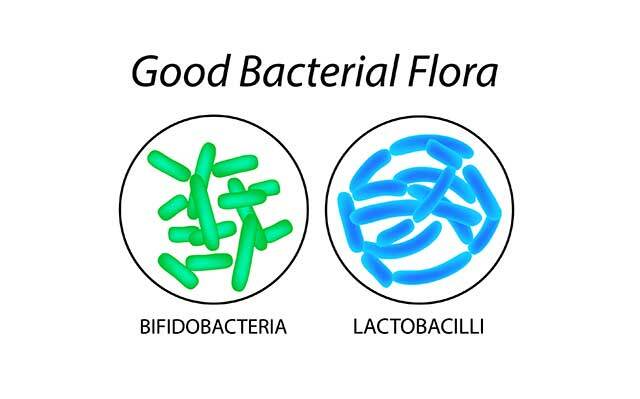 Two of the major probiotic bacteria species found in cottage cheese are Lactobacillus and Bifidobacterium (18). Amongst other things, these two bacterial species appear to offer various health-protective effects, in addition to improving the health of the gut microbiota (19). Some researchers believe that our gut health could be critical to immunity, the risk of disease, and our overall health (20). However, research on the microbiota is still in its infancy, there is still much to learn, and it is hard to understand the extent of its importance at this time (21). Key Point: A traditional cottage cheese made from cultured milk will contain beneficial bacteria that may improve our health. Despite cottage cheese offering several positive impacts, there are also some concerns about it. Although these drawbacks will not affect most people, it is still worth being aware of them. Casein allergy (or intolerance) is caused by a potentially severe reaction to the proteins in specific dairy food. Firstly, most dairy foods contain these proteins. However, when calories are matched, cottage cheese is much lower in fat and higher in protein than other kinds of cheese. Furthermore, studies show that cottage cheese contains a higher ratio of casein to whey than any other type of cheese (22). For this reason, an adverse casein reaction to cottage cheese would be greater than it would be for other, higher-fat cheese varieties (23). Key Point: Cottage cheese is very high in casein, and this can cause problems for some people. In addition to casein, lactose is another compound in cottage cheese that may cause problems for some people. Lactose intolerance is a global issue that can cause a range of uncomfortable gastrointestinal symptoms including cramps and indigestion (24). Interestingly, the risk of suffering from lactose intolerance seems to depend on birth country and race. While the condition may affect as much as 90% of the population in certain Asian communities, it can be as low as 5% in Northern European populations (25). Unfortunately, soft fresh cheese contains higher concentrations of lactose than hard, aged cheese does (26). As a result, cottage cheese is not suitable for people with lactose sensitivities. Key Point: As a fresh cheese, cottage cheese is higher in lactose than other varieties, and it is more likely to cause lactose sensitivity issues. As previously discussed, there is a sweet spot for sodium intake, and too little may be harmful in the same way that too much can be. Although the blood pressure response to an increased sodium intake appears to be modest in the average person, some people suffer from something known as ‘salt sensitivity’ (27). For these individuals, it appears that excessive salt intake can have a stronger adverse effect (28). Since cottage cheese is relatively high in salt, anyone with salt issues should be aware of how much they consume. 100 grams of cottage cheese contains 364 mg of sodium (3). Key Point: Anyone with a sensitivity to salt should closely monitor their salt intake and follow any medical advice their health team has given. Many people wonder how they are supposed to eat cottage cheese. Put simply; there are all sorts of different ways to eat this fresh cheese, and there is no “best way” of doing so. While some people enjoy mixing it with dried fruit, others like using it as a filling in a baked potato. Some people just eat it by itself. If you enjoy a sour-tasting experience, then cottage cheese should be enjoyable on its own. 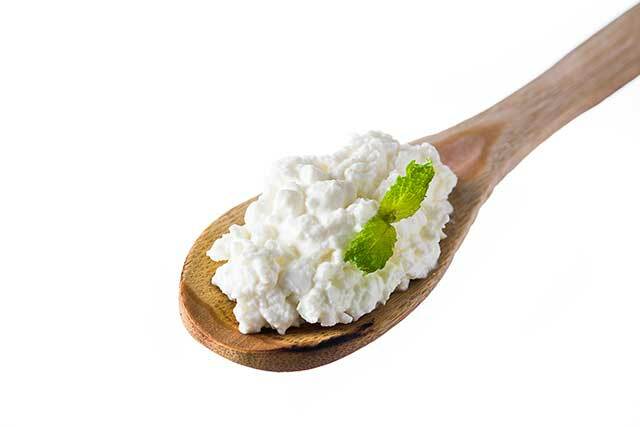 Overall, cottage cheese is a nutritious dairy product that has numerous benefits. It is high in protein, essential vitamins and minerals, and it offers a lot of nutritional value for very few calories. However, there are a few concerns mainly centered around lactose and casein sensitivity issues. All in all, if you can tolerate cottage cheese without issue, it is a healthy (and tasty) choice. Thank you for the reminder that one of my favorite foods is good for me. Question: Why can’t we find old fashioned cream cheese anymore ? All I can find are just smoothy glop. No taste. Unfortunately, that seems to be true for many foods these days. Just have to try to find as unprocessed a version as possible!